On Saturday, June 30, more than 400 runners come out to compete each year in the annual summertime running of Algonac's Pickerel Run, which is one of St. Clair County’s flattest and fastest road running events. Runners get the chance to record a fast personal record times on this course, which is run through the neighborhoods of Algonac, and the only race to finish on the boardwalk of the St. Clair River. Online registration is now closed. 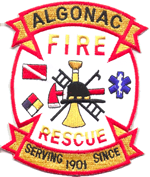 You can still register on race day at the Algonac Fire Department.